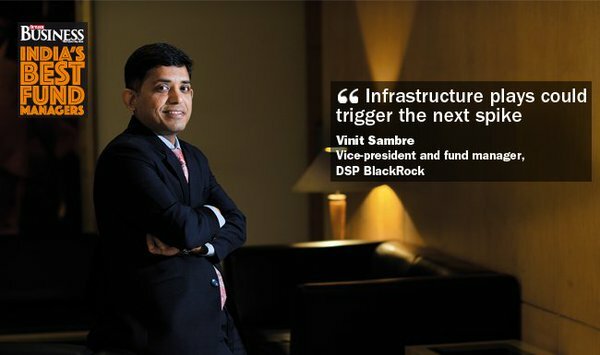 Vinit Sambre, the whiz-kid fund manager with DSP BlackRock Micro Cap Fund, has achieved the incredible task of generating a return of 25.5% CAGR over the past five years. This feat has led him to be awarded the prestigious title of “Best Mutual Fund Manager” by ET Wealth. One can gauge the extent of Vinit Sambre’s achievement from the fact that R. Jankiraman of Franklin Templeton, who came second in the rankings, delivered a much smaller CAGR of 20.2% over the past five years. The other fund managers in the list delivered returns ranging from 15.4% to 19.6% in the same period. A CAGR of 25.5% means that a sum of Rs. 1,00,000 becomes Rs. 3,11,328 in five years. Over ten years, the investment of Rs. 100,000 turns into Rs. 9,69,253. Over 20 years, it morphs into Rs. 93,94,518. In 30 years, the petty amount of Rs. 1,00,000 becomes a gigantic fortune of Rs. 9.10 crore. This is why Albert Einstein, the genius scientist, called compounding the “eight wonder of the World”. Mohnish Pabrai, one of our favourite stock wizards, has explained the entire concept of compounding with the example of rice on a chess board. Another indication that a CAGR of 25.5% is incredible is given by the fact that Warren Buffett, one of the World’s greatest investors, compounded his wealth at only 19.5% CAGR. Of course, Warren Buffett was able to consistently generate the return since 1968, a feat which is very, very difficult. Warren Buffett’s record is broken by Billionaire Carl Icahn who compounded his wealth at 31% since 1968. Another interesting fact is that even average mutual fund managers have been able to outperform Warren Buffett over a fifteen year period owing to the incredible stock picking opportunities available in the Indian stock markets. One can see that Vinit Sambre has followed the sensible strategy of investing only in well known and top-quality stocks. In fact, most of the stocks in the portfolio are already well known to us as they are also the favourite stocks of eminent wizards. SRF, for instance, was recommended by Sanjoy Bhattacharyya as far back as in April 2011 as “the solitary beacon of hope”. 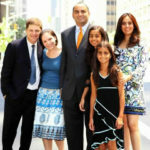 Thereafter, Motilal Oswal has been periodically recommending a buy on the basis that the stock is ripe for a re-rating. KPR Mills was recommended by Daljeet Kohli in December 2014 when it was languishing at Rs. 370. At the CMP of Rs. 1178, fabulous gains of 215% are on the table. Navin Fluorine is very familiar to us because we saw how two eminent wizards, Ashish Kacholia and Rahul Saraogi of Atyant Capital, effortlessly pocketed multibagger gains from the stock. Manappuram Finance, a mid-cap in which Ashish Dhawan has a stranglehold, is also strongly recommended by Rahul Arora of Nirmal Bang and Sandip Sabharwal. APL Apollo has also become a multibagger before our own eyes as Prashant Jain, Kenneth Andrade, Ajay Relan, Narendra Kumar Agarwal and Ashish Kacholia piled on it and bought it aggressively. The stock has a long way to go if we go by the latest “Three Small Cap Stars” stocks recommendation of Mudar Patherya. The other stocks in the portfolio of DSP Blackrock Micro Cap Fund include DCB Bank, Aarti Industries, Repco Home Finance, Somany Ceramics, Majesco, Swaraj Engines, JB Chemicals etc, all of which are very familiar to us. The bottom line is that Vinit Sambre has demonstrated how buying the stocks recommended / bought by the wizards can lead to humongous gains. Here also, we can see that Vinit Sambre has followed the sensible strategy of being overweight on specialty chemicals and financial stocks, the two sectors which have outperformed and are expected to do exceedingly well in the future as well. We saw recently how Dolly Khanna raked in multibagger gains by being amongst the first to foresee that specialty chemicals stocks would sparkle. Other experts such as Shankar Sharma and Ravi Dharamshi have also opined that specialty chemical stocks would continue to do well for several years to come. Vinit Sambre is obviously on the same view given that he has allocated 19% of the AUM to specialty chemicals stocks. In fact, there are six specialty chemical stocks in the portfolio being SRF, Navin Fluorine, Atul, Chambal Fertilizers, Aarti Industries and Excel Crop Care. (vi) Prefer secular growth stocks. Avoid cyclical businesses but keep a look out for cyclical businesses which are at the cusp of turnaround where ROCEs are slated to move up in the foreseeable future. (vii) Carry out detailed due diligence to mitigate risks arising from lack of independent research reports and information. Go for AGM and management meets and obtain feedback from across the value chain to improve decision making process and reduce risk. The mind-boggling gains generated by the small and mid-cap funds ranging from 15% to 25% CAGR vindicates the advice offered by Shankar Sharma that we should “forget large-cap stocks and focus exclusively on small and micro-cap stocks because these stocks will give up to 300% gains”. Shankar’s advice is based on the sensible proposition that while large-cap companies need a large quantum of change in the economy to experience an improvement in their metrics, small and mid-cap stocks are nimble footed and even a small change in the macros is sufficient to send them surging into orbit. Vinit Sambre has generously revealed his secrets on the new sectors to bet on. He pointed out that companies in the infrastructure sector have not seen earnings growth for the past eight years and that it is high time that things change. He explained that a year or two down the line, things will definitely turn around and that investors need to build a portfolio of companies that are going to gain in that phase. Vinit Sambre also explained that there are several companies in the power equipment construction space with bloated balance sheets. Most of these were not able to collect money and ended up with a huge amount of debt to the extent that they went bankrupt. He emphasized that some of these companies have cut their debt and shown discretion while taking orders and have also been focusing on cash flows and balance sheets. Once the economy turns around, these companies, which have managed well in a bad phase, will enjoy strong order flows and reduced competition, Sambre opined. Vinit Sambre helpfully pointed out that his favourite stocks are power transmission and distribution players such as Kalpataru Power Transmission, Techno Electric and Engineering and Skipper. The DSP Micro Cap Fund has taken exposure to these stocks. Kalpataru Power Transmission is a favourite of Prashant Jain and Daljeet Kohli and Neeraj Dewan. Friends, select Infra stocks will give surprising return going forward; am excited about this rare opportunity. Be choosy & price sensitive! Porinju Veliyath has expressed the view that the time is ripe to buy beaten down stocks from the infra sector. His favourite stocks are the two which are the worst affected, namely, J Kumar and MBL Infra. There is an Exchange Traded Fund (ETF) called GS Infra BeES ETF which encompasses a number of large-cap infrastructure stocks. The ETF is useful for investors who want to play the infra theme but are unsure of what specific stocks to buy. No discussion about a mutual fund manager is complete unless we also inquire into the salary that the manager draws and whether it is commensurate with the performance of his fund or not. We saw earlier that celebrity fund managers like Prashant Jain of HDFC MF and Sunil Singhania of Reliance MF are drawing salaries of up to Rs. 26 crore per annum that are in excess of what corporate head honchos like Mukesh Ambani take home. Prima facie, it appears that the fund managers are able to command hefty salaries owing to their celebrity status even if their funds may have underperformed the benchmark indices. Unfortunately, DSP Blackrock has put a veil of utmost secrecy about the salaries that it pays to its managers. There is a complex verification process and also a legal undertaking that has to be given that the information will not be divulged. I pointed out earlier that leading experts are of the view that the secrecy maintained by DSP Blackrock Mutual Fund is untenable. A fact that SEBI requires to be disclosed to the public cannot be kept under a veil of secrecy. Hopefully, SEBI will soon haul up the mandarins of DSP Blackrock Mutual Fund, give them a rap on the knuckles and direct them to follow the salutary path set by other mutual funds like PPFAS Mutual Fund and Quantum Mutual Fund which have made the information available to all and sundry. One way to resolve the issue is to look at the salary of Chirag Setalvad of HDFC Mutual Fund, who is the closest peer to Vinit Sambre. Chirag Setalvad is ranked number 7 in the ET list of best fund managers. 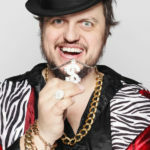 His salary was Rs. 8.79 crore in FY 2015-16. 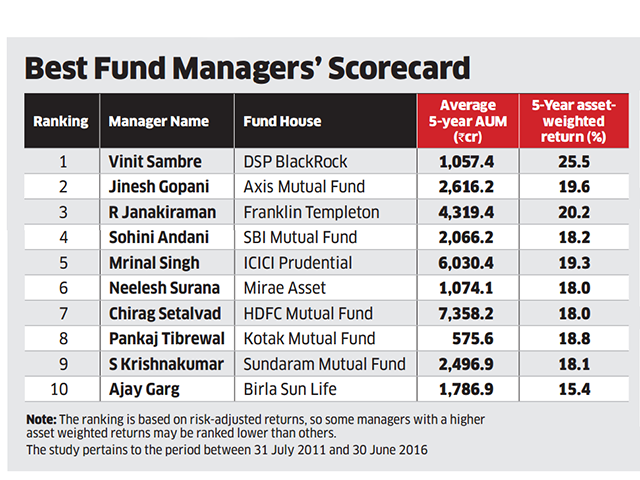 It is reasonable to assume that Vinit Sambre’s salary will be close to that figure, even though his fund has heavily outperformed that of his peers. 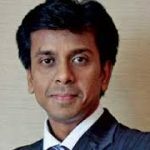 Of course, there is no doubt that Vinit Sambre richly deserves his salary given the stupendous gains that he has delivered to the lucky investors in his fund! Mid cap mutual funds have given good returns. In Stock talk also I have been discussing that small investors should take exposure to small and mid cap stocks through mutual funds as lot of expertise is required here due to less information in public domain. But small investors can take exposure to large cap directly. As disclosed many times in Stock talk, I am continulsly investing in Franklin smaller companies fund, dsp microcap, mirae emerging blue chip fund, HDFC mid cap and Relince small cap funds.Earlier also I had my old investments in old mid cap funds of past like Reliance growth, Birla mid cap and icici mid cap funds, which I still hold. I have been earning approx 20% CAGR on average since long in these funds. 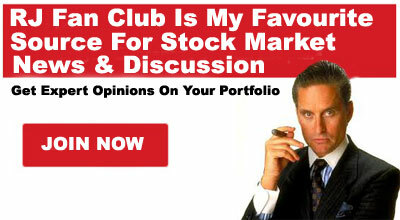 I invest directly in blue chip large cap stocks. I beat large caps mutual funds but always find it difficult to out perform these quality small cap and mid cap funds. But we should take care that exposure to small and mid cap stocks or small and mid cap funds should remain upto 30% of portfolio, as on any down turn, these may bleed as compare to large cap. More over you should invest in these small cap funds only if you have time frame of more than five years, preferably 10 years. 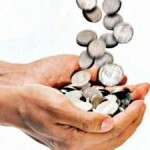 Lump sum amounts can be invested only in deep correction or go through SIP in normal time in small or mid cap funds. Thanks kharb…well intented valuable advice. Can you share your techno- fundamental views / analysis with short to medium term target for following stocks ? Could it be a mulibagger ? 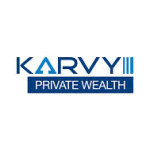 i do not subscribe to Mutual funds are most of the gains go to these fund managers by way of unreasonable salaries of my NAV – also the rumours are rampant of front running.. It is always good if you have market knowledge invest in market but put money one basket is not a good idea so i invest in market as well mutual fund. if you are regularly see the market invest in market fairly more money other wish invest in the MF more money like wise i mange the risk. Yes MF are taking charges. no think come free. We have to manage our risk how we feel. great article Arjun sir. Keep up the good work of educating small investors like us! What is your view on infomedia press Ltd a reliance group small cap company it is going to start a new line of business.